It was only a short run up from Okotoks to Calgary but with memories of rain and mud spattering in yesterday’s Stage, the 120 riders from 15 international teams must have been hoping for dry roads to get them around some pretty cute corners in downtown Calgary. It turned out good for them as early morning mist down the Elbow Valley dissipated away, leaving a big and bright Alberta sky as they came along Highway 8, through Bragg Creek and into CowTown. 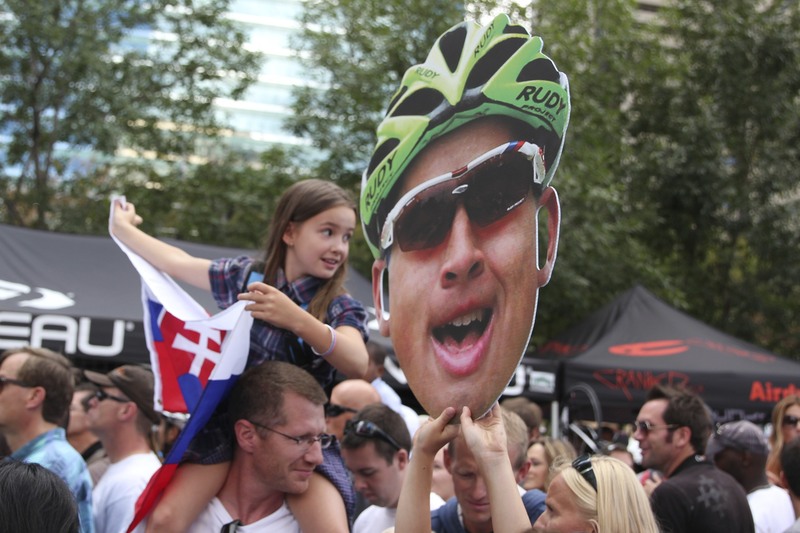 Four circuits around the city core proved to be attractive enough for thousands of Calgarians and other cycling fans to crowd along the streets and celebrate the final stage of this, the inaugural Tour of Alberta. They were not disappointed. Within the first go-around, the leading group and main peloton pretty much came together, thus presenting a fine opportunity for Peter Sagan of Cannondale Pro Cycling to thrill his many fans from Slovakia and take the stage win. With earlier wins in the Edmonton Prologue and Stage 1, he took the podium as the Subway Green Jersey winner to go alongside his sprinters win at this years Tour de France. Australian riders also featured prominently in the provincial tour. Rohan Dennis with Team Garmin-Sharp took the General Classification and Young Rider award, as well as what has got to be the coolest sporting prize ever- a 65 million year old dinosaur bone from his part in the Drumheller stage. 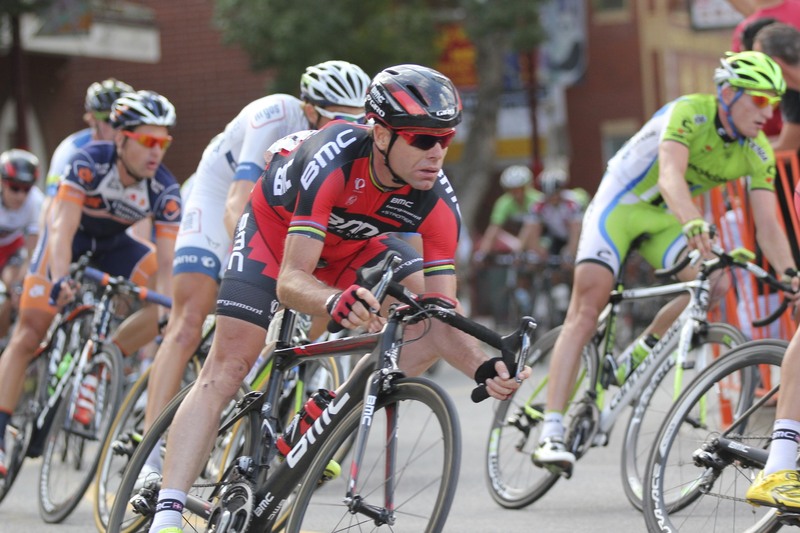 Cadel Evans, the first Australian to win the Tour de France, came away with a Stage win (Black Diamond/Foothills) and enjoyed his champagne fizz-attack as he went up to receive the team Prize with the BMC Racing Team. Best Canadian rider was Ryan Anderson with Optum-Kelly Benefit Strategies and King of the Mountains was Tom Jeltye Slagter (NL) with Belkin Pro Cycling Team. For more photos, see JAshleyNixon Photography. to give it a go.